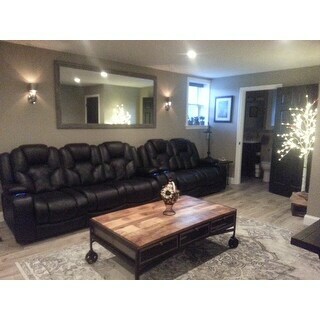 This is a fabulously large great quality mirror that gives a rustic glam to any room. Nice design, soft and comfortable to walk on even with bare feet. This stunning wall mirror is sure to bring your country style décor to the next level. The delightful frame features a delicate natural wood grain with a perfectly weathered appearance. The grey tone of the frame takes the style a bit further and gives the attractive look of old barn wood. 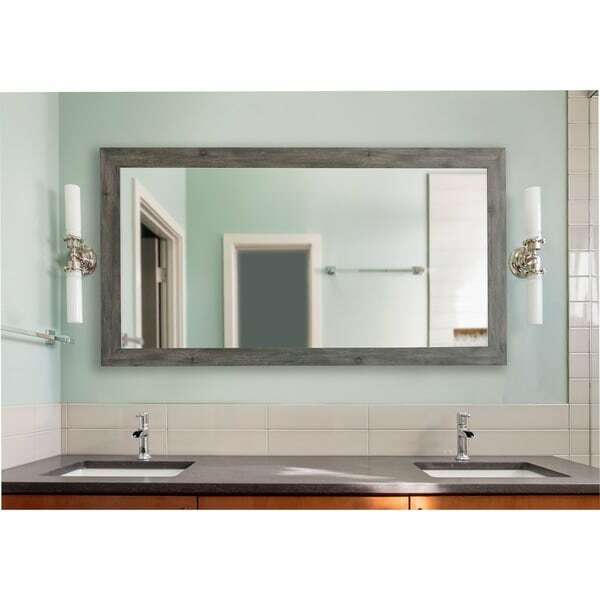 The aged weathered look of this mirror design will enhance your country decor. Dimensions 39.0 In. X 0.75 In. X 78.0 In. Absolutely huge! Perfect for a massive fireplace. Love it. "How heavy is this mirror?"